Police departments across the country traditionally step up their DUI enforcement efforts during the holiday season, given that holiday parties often involve alcoholic beverages. If you’re pulled over or you pass through a DUI checkpoint, it’s imperative to avoid giving the police officer any reason to investigate you further. If you are arrested for drunk driving, you need to exercise your legal right to call a DUI lawyer serving Charles County. 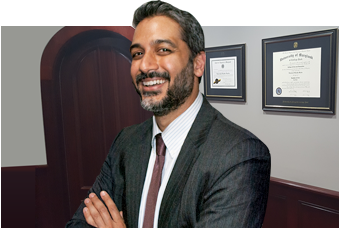 Your attorney can provide you with the legal advice you need for the best possible outcome for your case. One way you can demonstrate your cooperativeness to the police officer is by pulling over as soon as it is safe to do so. Use your turn signal to indicate you are pulling over. Once you’ve parked, turn your engine off. Criminal law allows police officers to conduct a search of your vehicle if they have probable cause. Avoiding suspicious behavior is paramount. For example, avoid moving around in your seat and do not open your glove compartment or center console. This leads officers to believe that you’re either trying to hide contraband or you’re pulling out a weapon. Instead, keep both hands on your wheel and wait to get your license and registration until you’re requested to do so. You should comply with directives to provide your driver’s license and registration, and you should answer simple questions regarding your name, address, and similar identifying information. However, you do not have to answer any questions beyond these. When a police officer suspects someone has been drinking before driving, he or she will try to trick the suspect by asking devious questions. Inform the officer that you are not trying to be argumentative, but that you respectfully decline to answer any questions as per your legal rights. Contact The Law Office Of Hammad S. Matin, P.A. © 2017 - 2019 The Law Office of Hammad S. Matin, P.A. All rights reserved.